Conrad, Joan, 81, of Port Medway, Queens County, passed away peacefully Tuesday, October 30th, 2012 at Queens General Hospital, Liverpool. Born in Ashton Under Lyme, Lancaster County, England, she was the daughter of the late John and Violet (Newton) Nickeas. Joan was a former office manager for a book publishing company. She was a volunteer in her community, as well as treasurer of the bingo account for the Port Medway Fire Department. She loved to work on her computer, travelling, sewing and watching television. She is survived by husband of 50 years Wesley. Sons Stephan of Liverpool, John of Dartmouth. 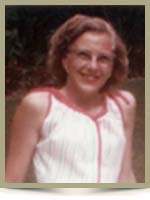 Sister Sylvia (Jim) Dorman of Vancouver, B.C. and three grandchildren Joanne, Jeffrey and Erica. Cremation has taken place under the direction of Chandlers’ Funeral Home, Liverpool. A private family service will be held at a later date. No flowers by request. Donations may be made to the Port Medway Fire Department. Online condolences may be made to www.chandlersfuneral.com. We are sorry to hear of Joan’s passing. Our thoughts and prayers are with you Westly and the family. Please accept my sincere condolences for your loss Wesley. Joan was a nice lady and I know she will be missed. To Wesley and family,please accept my sympathy in the passing of your loved one, Joan. So sorry to hear of your loss, My thoughts and prayers are with you and your family. I will surely miss Joan as I know the rest of you will as well. Find peace in knowing that she is at rest . And know that you will be together again someday. But until that day remember all the great times with her and I hope you all find peace in that. Port won’t be the same with out her. Our thoughts and prayers are with you and your family at this most difficult time. Please accept our sincere condolences from our family to your family. Louise and I were so sorry to hear of Joan’s passing. Our sympathy goes out to you and your family at this difficult time. To Wesley and family; Sincere sympathy in the loss of your loving wife and mother. May God comfort your hearts at this sad time. Wesley and Family: We are so sad to hear of Joan’s passing. Sincere sympathy to you, her loved ones. We are so sorry to hear of Joan’s passing. She was a lovely lady. Our thought and prayers are with you. Wesley and family…..I was sad to hear of Joan’s passing. She will be sadly missed but fondly remembered by all that knew her, especially her family and the people in Port Medway. Wesley, Very sorry to hear of your wife’s passing. She was a very nice lady. Dear Wesley: We were so sorry to hear of Joan’s passing. Please accept our condolences at this most difficult time. Wesley and family… we are sorry to hear of Joan`s passing, our hearts go out to all of you. Please accept our deepest condolences. Wesley and family we are very sorry to hear of Joan’s passing. We will really miss her. So sorry to hear of Joans passing. Our deepest sympathies to you and the family.